Whether you are taking care of someone who is dealing with disability, or you simply want to provide more comfort for yourself, rise chairs are one of the most popular options when it comes to unwinding. Except for being soft and comfy, these chairs have special features that can help you relieve muscle pains or any kind of physical pain in particular. Usually, all electric adjustments can be turned on and off by a handset control, allowing you to adjust everything according to your needs. When speaking about features, an electric riser chair has lots of them, out of which there are some pivotal ones you need to seriously take into account. Out of all important features you need to consider, the first and foremost is the type of motor. Generally speaking, an electric riser chair can have either single or dual motor system wherein the single one is operated by one motor that can control all types of electric features. This means that a single motor system controls both the foot and the backrest, making sure that the riser functions move in unison. The dual motor, on the other hand, has two motors out of which the one is used for controlling the leg section of the chair while the other is used for adjusting the seat section. Consequently, the price of the chair will vary from type to type, so the one you choose should mainly depend on your budget and personal needs. Another popular thing to consider is the size of the chair and that is closely related to the amount of free space in your room. For that reason, you’ll need to take into account both the seat/postural dimensions and the external chair dimensions. The former ones indicate the chair’s seat depth, width, and footrest position, while the later ones indicate how big the chair should be. Properly lifting the riser chair can allow you to maintain a super comfortable and supportive posture throughout the entire time. 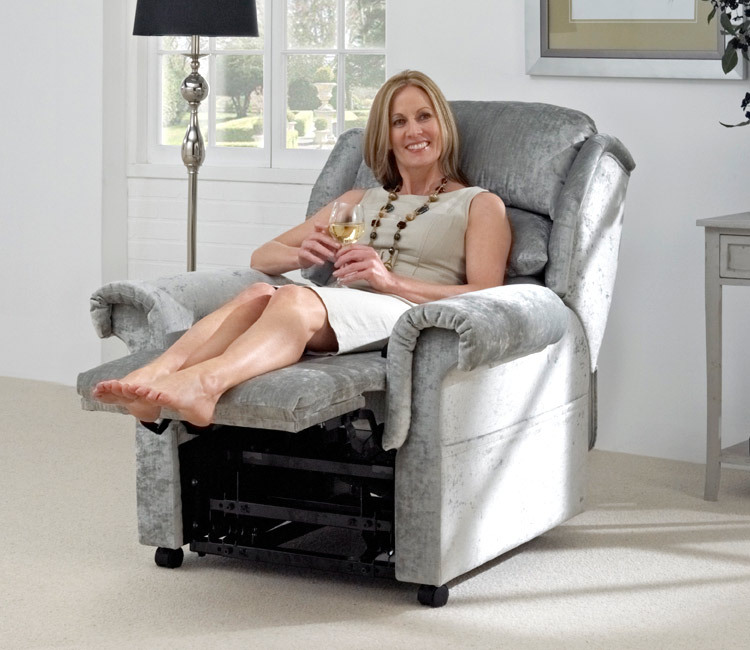 Last but not least, electric rise chairs can also come in a range of styles in order to meet the preferences of different users. This means that you get the chance to choose between a range of different patterns and colours so you could easily choose the one that will fit in well with your existing furniture and décor as well.